For dry skin with sensations of tingling, overheating and diffuse redness. 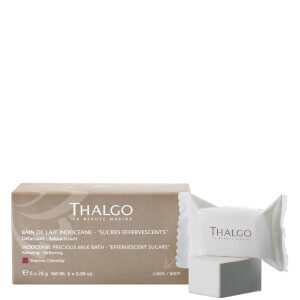 This mask, infused with Cold Cream Marine, is deeply repairing. Enriched with micro-encapsulated Borage Oil, it infuses fatty acids (Omega-6) drop by drop into the skin, helping to soothe all feelings of discomfort. Skin feels intensely nourished(3) >> 100% Feelings of tightness(4) and itchiness(5) are reduced >> 100% Roughness(6) and flakiness(5) are less visible >> 93% (3-6) Self-assessment 10 minutes after applying the mask, by a panel of 21(3), 19(4) 15(5), or 14(6) volunteers.